How to Become a Forensic Scientist in Maryland? Do you have what it takes to be a Forensic Scientist? Where can you find a job as a Forensic Scientist in Maryland? How much does a Forensic Scientist make in Maryland? Maryland has 420 forensic science technicians currently employed in various sectors, as of May 2017, according to the US Bureau of Labor Statistics. Forensic scientists in the state are required to be graduates of the Forensic Science Education Programs Accreditation Commission (FEPAC) of the American Academy of Forensic Sciences. This is a requirement by most employers of forensic scientists in Maryland. To become a good forensic scientist, you need to be inquisitive and methodical by nature. In addition to that, you will need to have good communication skills, reading comprehension and writing skills. Logical reasoning, critical thinking and oral comprehension are also handy personality traits to possess as a forensic scientist. Forensic scientists need to be able to identify known patterns that are hidden under distracting materials, so having a strong logical reasoning sense is considered an integral skill. You may also be required to testify in court or legislative proceedings, so being aware of how the legal system works would also be required. If you think you have what it takes to be a forensic scientist in Maryland, the following information would be of help to you. Bear in mind though, that the following steps are meant to be treated as general guidelines, rather than a strict path to becoming a forensic scientist. The exact requirements tend to vary according to the employer, location and seniority. The job of a forensic scientist is highly technical and will require a lot of education and training. Even if you do not have a degree in one of the above subjects, you may still go for a career in forensic science, by completing coursework in subjects such as the natural sciences, astronomy, earth science, etc. Laboratory components are mandatory for many courses. Even though you only need a bachelor’s degree for most entry-level positions in the field of forensic science, some employers or jobs might require higher education. For instance, careers in psychology would require a higher educational qualification. Similarly, some states may require master’s degrees or PhD’s for advanced federal level jobs. You are advised to do your research well on the career path you want to opt for, and the requirements associated with it. You can find employment in a multitude of places – local, state and federal level jobs are available in Maryland. In addition to that, you may also find work in medical and diagnostic labs, colleges, universities or professional schools. Nearly all forensic scientists starting new jobs will be required to complete an on-the-job training session. This would help the new employees get a first-hand experience of how things work at their new workplace. The training session may last a few months and can even go on for a year or more – depending on the employers and the job description. There are several institutions in the US that offer credentials to forensic scientists. These credentials or certifications can be helpful when looking for advancement options or new challenges in the field of forensic science. American Board of Criminalistics – This institute offers the Forensic Science Assessment Test, which deals with advance knowledge in Forensic Science. 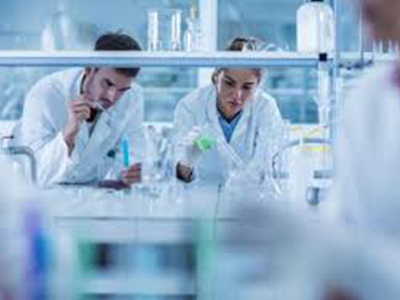 American Board of Forensic Toxicology – This institute offers the credentials of a Forensic Toxicology Specialist to applicants who have at least a bachelor’s degree, along with three years of required experience. According to the US Bureau of Labor Statistics, Forensic Science Technicians in Maryland made an annual mean wage of $67,330, as of May 2017. This is higher than the annual mean wage for the US, which is $61,220. Forensic Scientists in Maryland are earning more than the national average. Find out how to become a forensic scientist in Maryland here.